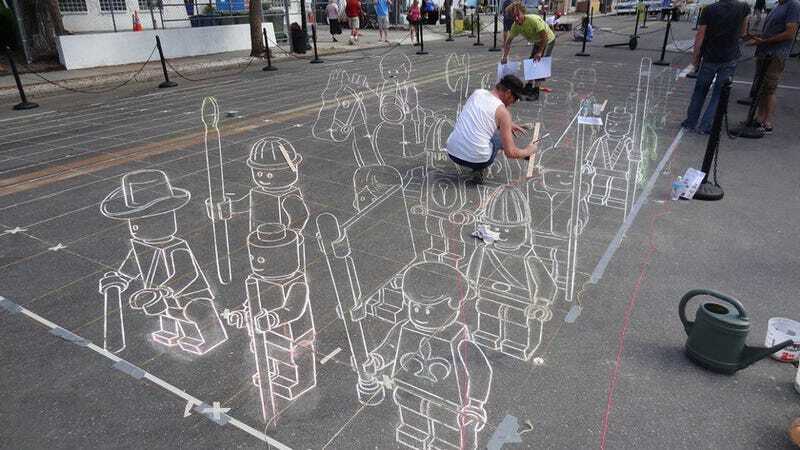 This street 3D painting was created at the Sarasota Chalk Festival last week: a Lego minifig terracota army, inspired by the Terra Cotta Warriors and Horses commissioned for the burial of Qin Shi Huang, the first Emperor of China. It was made by Planet Streetpainting, a street chalk painting company based in the Netherlands. My favorite detail: They all have the old school iconic minifig face, and none of those modern stupid minifig expressive faces.